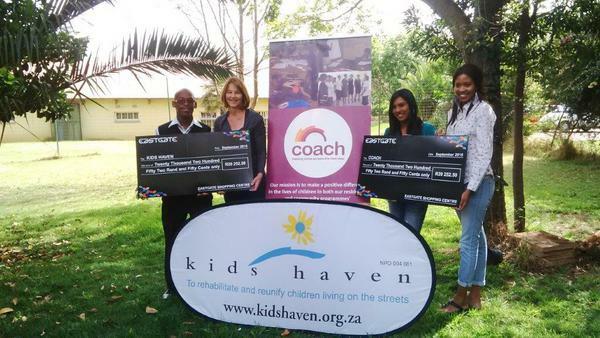 Eastgate Shopping Centre presented two local charities, namely Kids Haven and COACH with a sponsorship of R20252. 20 respectively. The funds were raised through the successful Eastgate Ice Rink event, held at Eastgate Shopping Centre during the winter school holidays. The Eastgate Ice Rink was introduced to enhance the entertainment offering and to provide shoppers with a fun family experience. It was open during trading hours and shoppers had an opportunity to skate for 30-minutes for a small fee of R20.00 per session.